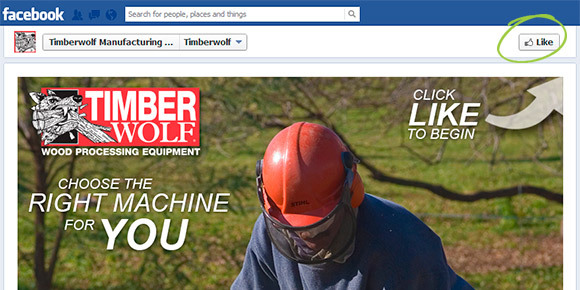 Let’s face it; at this point most businesses have a Facebook page. They have moved from the realm of novelty into necessity as increasingly more consumers have come to expect them from the brands they know and trust. In order to construct a successful business page on Facebook you need two things: well-designed graphics that draw your viewers in and content that will make them not only stick around but also keep coming back for more. Assuming you’ve got both these things (and content development is an ongoing effort), what’s next? What many do not know is that using a Facebook application called Static HTML iFrame, your own mini webpages can be developed as Facebook tabs. This means that we can create forms, news bulletins, and more for you right on your business’ fan page. One of the best things about these iframes is that they give us the ability to set up a “fangate.” What this does is display two sets of the page; one for those who have liked your page, and one for those who have not. This creates exclusive content that viewers must become fans of your product or service in order to view. This is an ideal tactic to reinforce an existing loyalty program. For instance, you could set up a QR code on this page behind the “fan screen,” and when the page is liked viewers are allowed to scan it with their mobile device for a special discount. 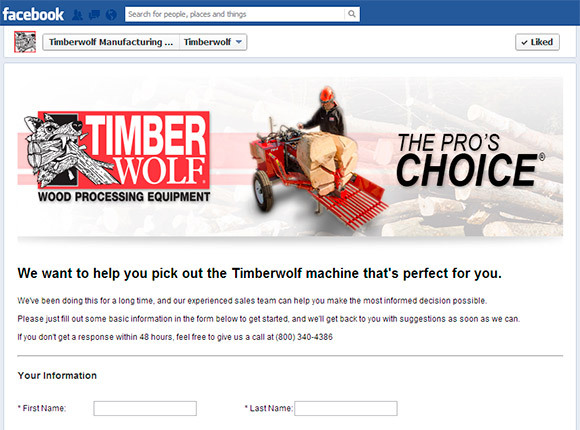 Take a look at the screens below to see how we implemented this technique as a dual purpose web-form/fan gatherer on Timberwolf Wood Processing’s Facebook Fan Page. continue if they are not already a fan of your business or service. Once they have liked your page they are able to access the custom content we’ve coded within the iframe tab, in this case a customer info collection form. 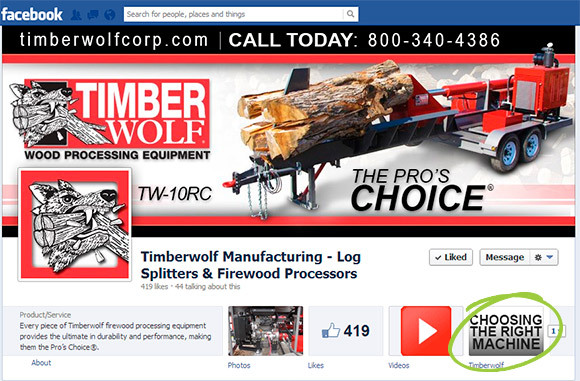 If you are interested in having us implement a custom iframe tab on your Facebook page, contact us today! If you are interested in our other social media services, please visit our Social Media Customization page for more info.